1 1/2" Wide Western Tooled Full Grain Leather Belt. Belt has snaps so buckle is removable and changeable. 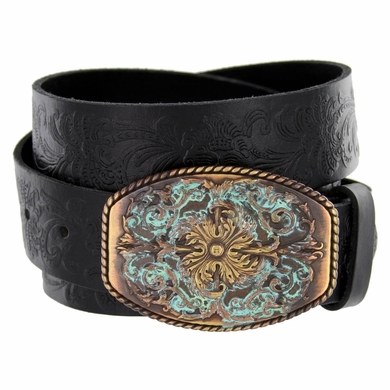 Belt is embossed with a Western pattern and comes with a large vintage gold/turquoise buckle.